On December 21, 2018, Office of the U.S. Trade Representative (USTR) released negotiating objectives of the proposed U.S.-Japan Free Trade Agreement (USJTA). Overall, USJTA aims to address both tariff and non-tariff barriers to achieve fairer and more balanced trade between the two countries. Regarding the textiles and apparel sector, USTR says it will “secure duty-free access for U.S. textile and apparel products and seek to improve competitive opportunities for exports of U.S. textile and apparel products while taking into account U.S. import sensitivities” during the negotiation. USJTA also will “establish origin procedures for the certification and verification of rules of origin that promote strong enforcement, including with respect to textiles.” According to the 2015 Trade Promotion Authority Act, the earliest day to start the USJTA negotiation will be in mid-January 2019. First, the overall economic impact is likely to be modest given the limited U.S.-Japan bilateral trade flows for textiles and apparel. Data from the UNComtrade shows that in 2017 U.S. exported $220 million textiles (1.7% of the total) and $141 million apparel (4.7% of the total) to Japan. 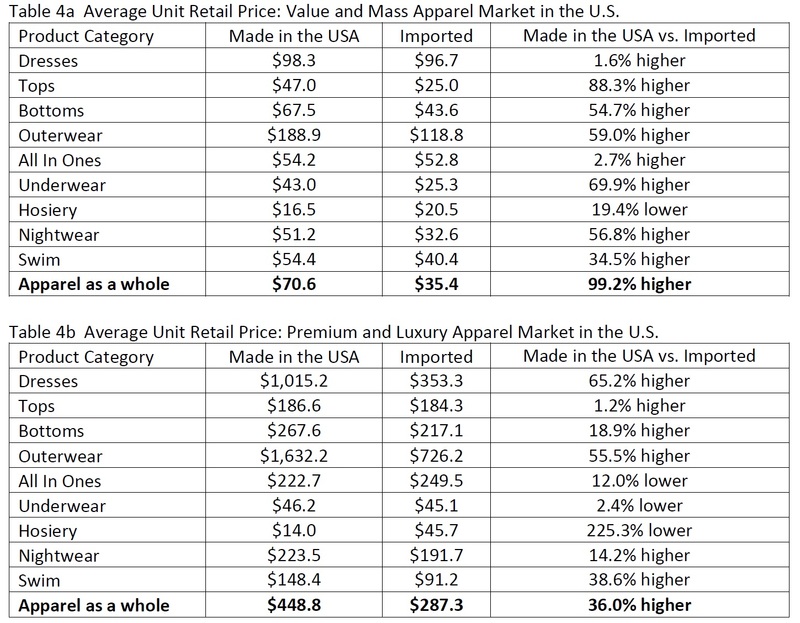 Meanwhile, U.S. imported $550 million textiles (1.9% of the total) and $104 million apparel (0.1% of the total) from Japan. In comparison, over 70% of U.S. textile and apparel exports went to the Western-Hemisphere and U.S. imported textiles and apparel mostly from NAFTA & CAFTA-DR members and other Asian countries (such as China and Vietnam). Second, the elimination of tariff and non-tariff barriers under USJTA could expand the bilateral trade flows for technical textiles. Notably, the top categories of U.S. textile and apparel exports to Japan in 2017 were mostly technical textiles such as specialty and industrial fabrics, filament yarns, and non-woven textiles. Likewise, the top categories of Japan’s textile and apparel exports to the U.S. in 2017 also include special purpose fabric, non-woven fabric, and synthetic filament fabrics. Third, the textiles and apparel-specific rules of origin (RoO) is likely to remain a heated debate in the USJTA negotiation. To protect the interests of the U.S. textile industry and the Western-Hemisphere regional textile and apparel supply chain, most free trade agreements enacted in the United States adopt the so-called “yarn-forward” RoO. Even though USJTA may not be a too big deal economically, the U.S. textile industry is unlikely to give up the RoO fight. However, most free trade agreements enacted in Japan adopt more liberal fabric-forward rules of origin. As textile and apparel production in Japan is increasingly integrated with other Asian countries, the strict “yarn-forward” RoO could prevent Japanese textile and apparel exporters from enjoying the preferential duty benefits under USJTA fully. On the other hand, adopting a liberal RoO in USJTA is also advocated strongly by U.S. fashion brands and apparel retailers.